SPRING INTO ACTION WITH MARCH'S RANGE OF STUNNING GRAPHIC NOVELS! There's more scintillating sci-fi action this month with another batch of zarjaz collections from the House of Tharg! Vengeance has a new name! The first series of the brain-warping alien extravaganza has now been collected into a deluxe hardback, complete with covers gallery and the Flint droid's sketchbook. 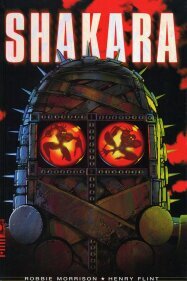 Get up to speed on the Shakaran universe before the sequel hits the progs this Summer! 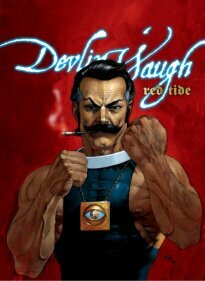 This mammoth volume collects the epic 'Chasing Herod' series, as the vampiric dandy battles to stop a global catastrophe, as well as 'Red Tide', the long-awaited sequel to 'Swimming in Blood'. Also included is a covers gallery and the opening seven pages of 'Red Tide' that were completed by Jock, never before published! 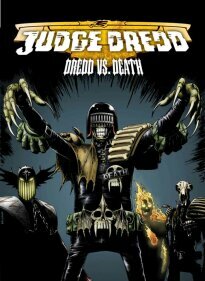 Don't miss Judge Death's unforgettable first appearance in this collection showcasing the incredible art of Brian Bolland! Both 'Judge Death' and 'Judge Death Lives' are included alongside such early classics as 'Punks Rule' and 'The Forever Crimes'. Also features a Bolland cover gallery. As the Russian rogue learns what it is to be part of the Romanov Dynasty, he discovers the full extent of his new siblings' powers, accompanying them on their 'family duty'... 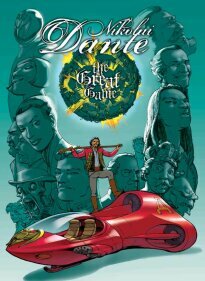 This second volume of Nikolai Dante's adventures includes the stories 'Cruel Britannia', 'The Great Game' and 'Tour of Duty'. 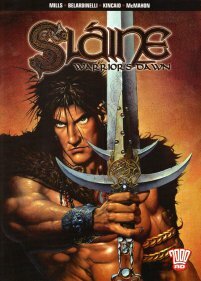 Find out how the legend began as Slaine Mac Roth - Celtic barbarian, follower of the Earth Goddess, and warrior of the Sessair - battles against the Drune Lords in a bid to save the Land of the Young. This collection of classic stories includes 'Bride of Crom', 'The Shoggey Beast' and 'Sky Chariots'.